The theme is ‘leave no one behind’. Water for all: whoever you are, wherever you are, water is your human right. We want to show how we are all connected. The act of running or walking for water shows that you care about the issue. And we know that when people step up to run for water that they think about the issues and discuss the campaign with their friends. The UN has asked us to act for World Water Day. How? By gathering people together to share ideas and make them grow. 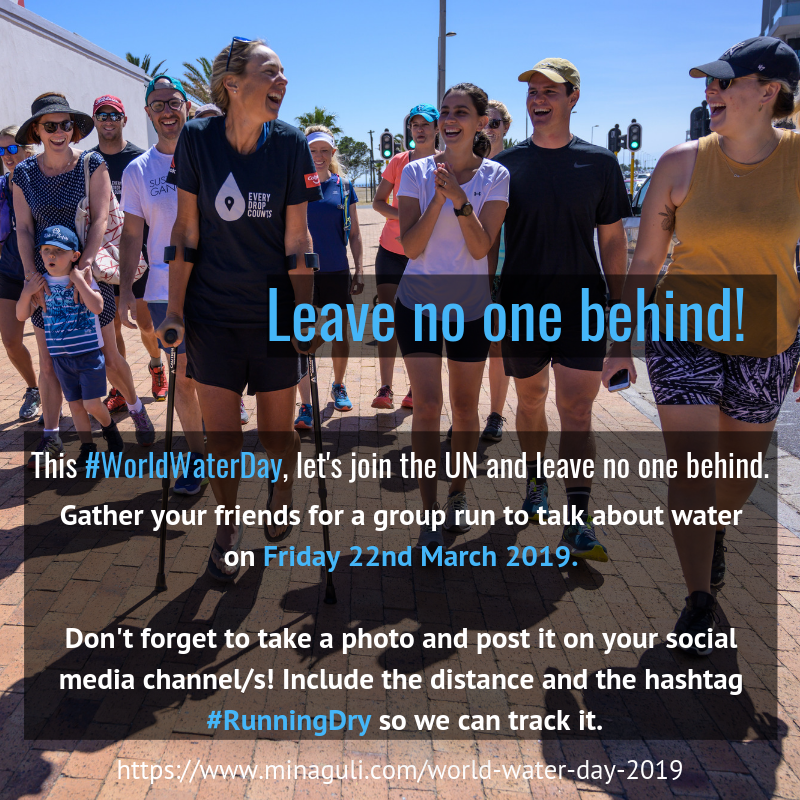 That’s why, this World Water Day, we’re asking you to gather a group of friends and go for a group run. Leave no one behind! If we all unite together to raise awareness of the global water crisis, we can make a difference. 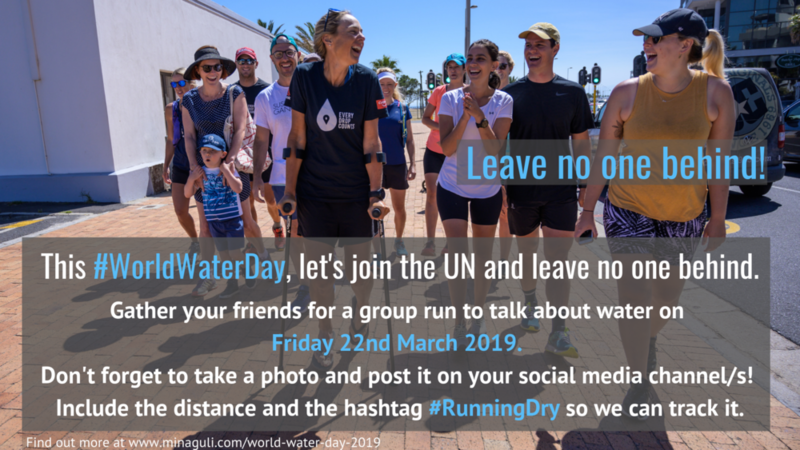 Don’t forget to post your pics on social media on Friday 22nd March 2019, using the hashtags #RunningDry and #WorldWaterDay. Share one of these infographics, or choose from our water saving share pack. 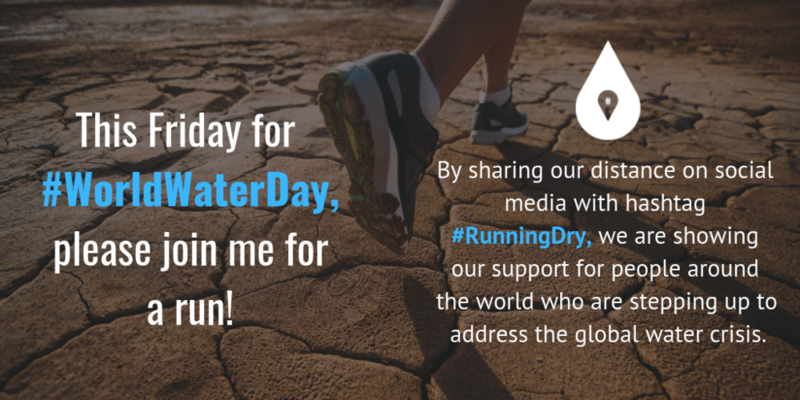 UN Water has officially featured #RunningDry for World Water Day. Let’s get out there this Friday and log those miles to help spread the message! Read my story about one inspiring organisation making change here. And let’s focus our efforts on leaving no one behind. Together, we can make a difference. Share these graphics to get everyone involved this #Worldwaterday!